French artist Laetitia Sadier has continually evolved along her rich musical path, from the early 90’s inception of legendary indie outfit Stereolab – who released several vital musical documents, encompassing French new wave, krautrock rhythms, film music with an irresistible punk DIY ethos – and later, her own mesmerising solo works (under the moniker of Monade and under her own name) while this year presented yet another of the French chanteuse’s artistic reinventions: Ladier Sadier Source Ensemble. Source Ensemble represents several of Sadier’s close collaborators, including Brazilian bassist Xavi Munoz and French drummer Emanuel Mario as the trusted rhythm section. The scintillating new record, ‘Find Me Finding You’ sees an ever-evolving spectrum of life-affirming music shine brightly across the sun-lit horizon. The radiant light of Sadier’s artistic vision burns brightly as a deeply empowering energy permeates this new musical space. The lead single ‘Undying Love For Humanity’ contains infectious melodies and warm polyrhythms amidst Sadier’s undying hope for humanity. The vivid light and colours of ‘Galactic Emergence’ is beautifully embedded in psychedelic flourishes where instrumentation of organ and flute dance a majestic, slow dance. ‘Love Captive’ is a gorgeous duet with Hot Chip’s Alexis Taylor. Laetitia Sadier Source Ensemble represents the latest chapter in the renowned French artist’s canon of work, crafting an otherworldly, divine sound-world, portraying new extended versions of an intriguing artist. ‘Find Me Finding You’ is out now on Drag City. Congratulations on your new album ‘Find Me Finding You’. Even though it’s a new solo album, I love even how there is a new band name of Source Ensemble for this record. Please discuss this new chapter? Laetitia Sadier: Yeah, I mean it’s always a new chapter in the continuity of a journey I guess, of a self-exploration in a complex world and in a world of relationships to others. I’d love for you to take me back to the making of the new album in the sense of your approach to writing the songs? LS: Well, the songs are written according to my usual formula of just collecting ideas as they arrive and as they are magically delivered by the universe. And then, when it comes to actually writing songs I refer to these ideas and develop on certain things and knock them into songs. It’s always a process of just being guided by what the songs need or require and asking certain friends to contribute like Emanuel Mario or have Rob Mazurek play a part on such a song or asking Alexis Taylor to do a duet with me. I mean these things just fall into place as the songs develop and you know there is a place for everything. It’s an organic process really. The idea with the Source Ensemble was to have an insistence on the collective aspect of doing things and of making sense of the world and that always inscribes itself in a wider political world of human existence. I like the parallel between doing something – in this case artistic – but making it a collective process as well, we’re not alone in this and we need to establish connections with others, to make sense of the world. I loved the first single – and first taste of the new album – ‘Undying Love For Humanity’ because like you said, this song really touches on the themes and the message of the album, in terms of the lyrics. LS: I came up with this title after watching a documentary on the Black Panthers and how they organized their struggle to be properly respected and accepted as full members of American society and to what extent they had to go. It wasn’t just about fighting off the opression, it was also about them organizing themselves in a revolutionary organization; they organized schools and they organized breakfasts in the morning for children who didn’t have breakfasts in the morning. And how revolutionary it all was; of how people gathered to organize a society that was viable for them and taking their destiny into their own hands, which they actually achieved but then of course it was all destroyed by outside forces who didn’t want the people organizing themselves autonomously and successfully and so it was a rather tragic end for that movement but still they did do it. It also reminds me of the French Communes, the Communards at the end of the nineteenth century and how they organized also their schools and how everything was distributed and they even had an army because they needed to defend themselves. It was really democratically organized for the best of anyone and how that was truly revolutionary, it was a revolutionary struggle to self-organize. It also ended up tragically because there are forces out there that don’t want us to organize – to organize for our best needs – but it is still possible to organize in that way. And I find that very inspiring and I see how it’s feasible and how we can achieve that as a human society. I love how your music is almost like a platform where there is a powerful commentary carefully placed inside the music. Your music always belongs to this very unique sound world where there’s always new directions which you explore. LS: In every album I want to be new [laughs] and in the end it’s still always me, always the same person making this music and so it’s kind of recognizable. But indeed I see life as an evolutionary process whereby I want to venture into new versions of myself, new extended versions of myself and of course that should reflect in the music and I hope it does and sometimes I feel it doesn’t do it enough, you know [laughs]. Of course I want a more mature expression of myself through my songs and thank you for saying that this is a new direction because this is how I wished it to be. I love ‘Galactic Emergence’ and the beautiful video that accompanied it. The visuals match the music so well, I suppose it shows your love of nature and the universe as a whole. LS: Yeah, of course, whenever I can I will honour nature and art as much as I can. When it comes to videos, I mean to me video is a very tricky art form whereby it has to serve the music and enhance the music through image. I find it’s a difficult thing to really achieve and again thank you for saying that it matches the image. I see us as natural beings living in a natural environment that more and more perceivedly, it’s being spoilt or exploited and tragically because we are cutting the branch on which we are all dwelling and it’s the tragedy of our time. We are faced now with a choice of carrying on the way we’re going or breaking away from our ways and maybe calling ourselves into question and reorganizing life on earth in different ways so that we can sustain ourselves and sustain what sustains us, living more harmoniously with the forces of nature. At the moment we are not doing that – well some people are – some people are realizing that. We’re currently staying with friends here [in LA] and they work on an organic farm and they host schools to teach young people to pass on a certain knowledge of how best to harmoniously cultivate the land and the products that come out of this land are really beautiful, tasty and nutritious. So, some people are quite active or proactive. We just need to have a shift in human consciousness, to shift our ways of living towards something more harmonious with nature. I quite intimately know this now and I guess more and more people are and lets see if the shift is important enough that it can prevail or not. You mentioned the Black Panthers documentary, was there other sources of inspiration that you drew from on the rest of the album? LS: For instance, in ‘Psychology Active’ I usually observe myself [laughs] and I see how for instance, I will tend to not want to do the hard things or the unpleasant things. Like how we as a species want to eliminate any effort, any hardship and in fact in the end it’s quite punishing. In fact, we should always face our hardships and try to also live with them and develop our own strength. I feel we are weakening ourselves. I feel that the system by creating all of these desires and thekind of sit down in front of the telly and forget about it is aggravating our situation and the narcissistic thing of how to please ourselves all the time and have everything on demand now and the idea of instant gratification and all that. And how in fact it is disservicing us quite profoundly and how there is value in patience and facing up to hardship. So, I explore this theme in ‘Psychology Active’ for instance. Also, in ‘Undying Love For Humanity’ it is a song about replacing the power onto us, onto the people who really have the power by just voting every four or five years, going here you have the political power and displacing the power onto other bodies. The professional politicians are also doing us a disservice because we know that this displaced type of power only leads to corruption, 99% of the time. It’s also about learning from that; historically we’ve seen it happen time and time again and how it doesn’t work like that like we have to dig deeper into the structures of power and how to really empower ourselves. And already that’s difficult enough but it leads to more successful ways of interacting and organizing. To remember that we’re impactful as a societal body, as individuals we impact society and society impacts us in return. We’re not powerless but we are in fact quite responsible in our ways of being, we’re very powerful. There’s of course ‘Love Captive’, the song about free love and how we could look at reinventing love and our rapport to love and ownership of the partner in wanting to belong. And how it’s not completely realistic to how we’re built as a human being that inevitably it leads to conflict and deflation of desire. What’s the way around that also like do we need to seal the deal through marriageand through the idea of living together for eternity. I mean they are all subjects that we are being faced with and either we really embrace them – and seriously and honestly look at them – or do we sweep it under the carpet and then have to learn to deal with these things in more brutal ways. Of course I am thinking of the political situation like Brexit and over here it’s Donald Trump, how the refusal of a system that is not working and that is not bringing about satisfaction and how there is a vote of revolt of saying ‘no’, which I think is healthy but how it’s also misplaced because these things will send us to a collapse, I mean quicker because we’re heading anyway towards a collapse. How we’re organized now is not sustainable; the capitalist forces or the neoliberalists are not sustainable of course. It’s like do we want a soft collapse or a hard one? It looks like we’re heading towards the hard one and I guess that’s how people learn when there’s something really hard happening. Do they go ‘So what do we do now? Where do we turn to next?’ in terms of reorganizing. I don’t know if it’s desirable but that’s what people chose, you know, the hard collapse. And it’s repeating itself across the world in different countries. LS: Yes, it’s a general thing. I think we are becoming more and more aware of our unitedness here; that planet Earth is rather small and we’re all interconnected. I mean that’s a good thing to realize, I think to best organize in the future. It sounds paradoxical but we have to organize more locally. I think that’s what Buckminster Fuller was saying, ‘Act locally, think globally’; be aware and be conscious of the global aspect and this goes even beyond the realm of our planet, the earth and our cosmic connections. If we could organize ourselves around this principle, I think we would be more successful at living harmoniously and happily. And of course there will still be conflict but we could accomodate human life much better. I particularly love towards the end of the album ‘The Woman With The Invisible Necklace’, there’s something very intriguing about the song-title. LS: Yeah I mean I followed the footsteps of the Stereolab legacy of having strange titles that don’t neccessarily immediately match the song. Here we have a text about tyranny and how tyrants only exist in as far as we confer certain power to them. If we don’t feed them energetically, the tyrants and through our beliefs they are nothing, they’re just like thin air. To a large degree, we also as a collective also create our own tyrants – again people voted for Brexit and people voted for Donald Trump – and also the whole mediatic realm fed these feelings and fed these votes. Trump, even in the Guardian every day they talk about him, sometimes in two or three articles, it’s like there’s a fascination for him, which confers him power. So we have to be careful also what we feed with our intentions and our energies and that we could be looking at feeding other things, more positive things but we’re morbidly fascinated by these people. Growing up in France, there must have been a wealth of music surrounding you and great records that made a really big impression on you? LS: I always loved music even as a very young child I was very fascinated by music. I always thought it was miraculous somehow, it was divine and otherworldly. I mean I think music really saved my life and was like my best companion; it just transported me, it gave me the confidence I needed, it gave me ideas, it motivated me. I used to go to concerts alone as a teenager and it was my raison d’être. I was really into all the after punk era of do it yourself, you don’t need to go to school, you don’t need to have a degree in music, if you want to do it get some amps, get some guitars and get a band together, do it and be in the act of it. And there was a really vibrant scene in the mid-80’s and late 80’s that I was totally into. In France too there were some really good bands going on and they were unapologetic or uncomprimising like there was a vision and they were serving that vision. And often that vision was a political one in the sense of transforming society; transforming oneself and to lead a more exciting and full life; a life that you create and not be a victim but be an active participating member of this world, of expressing and manifesting your visions and your ideas. And I loved that, it made sense to me – it made so much sense – it was complete, you know because it was about the self and it was about society and about the self within that society. I was very elated by the music of the mid to late 80’s and I wanted to serve that. I really wanted to be part of that. I met Tim [Gane] and we started Stereolab together and that was where I wanted to be. And there were no expectations of becoming big stars or anything, that was not the goal but doing it and we were very lucky. We grew very organically – there was no big hype or nothing – and somehow the people responded to the music. We had a great run of making albums, touring and having a very thriving band life all this time. And I carried on, after Stereolab stopped I thought ‘maybe I’ll get a job’ but no, I signed up to facebook and I had invitations to go and play in Greece, in Belgium, in Portugal, in Brazil and I was like ‘Oh right, I’m taking on board for another run here’ [laughs] and I went along with it because it was there, like the path was opening and I’m going, I’m going [laughs] and so it was really exciting. That’s the great thing, like you said about the DIY ethos that has been – and continues to be – so inspiring where there was something so organic and fresh about all your albums, with Stereolab and after.And there is always a natural connection and development with them all. LS: To me that’s how it should be; that’s what I want in a band, I want a true expression and not some kind of formula where they think they should be projecting so that they are better liked. But just the real thing, the real singularity of an artist is what I’m after; of an artist and of people I meet and I want to sense that; the deeper insights can resonate with me. Are there certain albums or books you have been inspired by lately? LS: As I grow more mature, it’s true I feel there is a more spiritual connection being established with my environment and coincidentally I was offered a book at Christmas called ‘To Believe In The Forces of Spirit’ (a French book) and it’s about a woman, she’s a psychologist and she started in the 80’s and she was appointed in the role of end-of-life care, it’s when people are about to die and maybe have one month or a few weeks to live and how to better make them live those last few moments, to accompany them towards their death but within a life affirming situation and environment. It’s a really nice book, it’s very unassuming – it’s not hippie or anything – it’s very down-to-earth experience of this woman how to better bring people to that moment. Also, she had a spiritual relationship with François Mitterrand in the last twelve years of his life and so he was the President at the time and very erudite and it’s relating their conversations around the subject of spirituality and how it manifests through the body, how it manifests through land, how it manifests through trees and through certain stones. It’s a very nice book and I’m happy to be reading it at this moment. In terms of albums, there’s an album that I love at the moment, the Aquaserge album, which is on Crammed Discs, it’s called ‘Laisse ca etre’ (to translate the French version to ‘Let It Be’). It’s a fantastic album, both moving and invigorating, it’s really a perfect album. And listen to it fully because what you first hear is not necessarily where you end up, it’s a journey. Earlier this year saw the eagerly awaited return of revered Scottish singer-songwriter Alasdair Roberts with the arrival of the splendid self-titled full-length on Drag City. 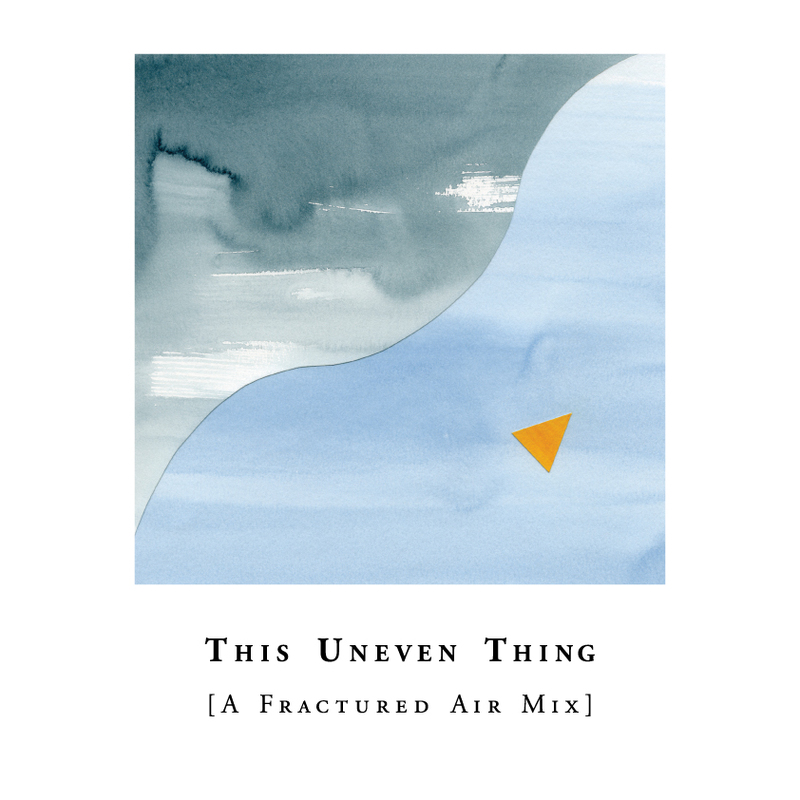 The Glasgow-based songwriter’s latest collection of folk gems exude a warm, sparse feel with wonderfully minimal arrangements –mainly Roberts’ voice and guitar which is augmented with gorgeous woodwind and percussion in places – that reveals a song-writing master-class with each turn of phrase and aching note. Songs such as the touching ballad ‘Hurricane Brown’, the deeply personal ‘This Uneven Thing’ and gorgeous folk lament ‘The Final Diviner’ represent some of the finest solo works of Roberts’ treasured songbook. Since 1997, firstly releasing three albums of self-written material under the name Appendix Out and then several albums under his own name. His work mainly consists of two parallel strands: self-written song material (which can be heard on albums such as Farewell Sorrow, The Amber Gatherers, Spoils and A Wonder Working Stone) and interpretations of traditional songs and ballads from Scotland and beyond (which can be heard on albums such as The Crook of My Arm, No Earthly Man and Too Long In This Condition). Other collaborative projects include The Furrow Collective (consisting of UK folk luminaries Rachel Newton, Lucy Farrell, Emily Portman and Alasdair Roberts); the wonderful collaboration between Isle of Lewis native Mairi Morrison and Roberts whose collection of Gaelic songs was released on Drag City and Roberts’ larger musical ensemble of Alasdair Roberts & Friends. 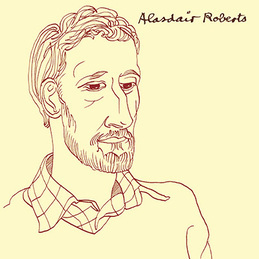 ‘Alasdair Roberts’ is out now on Drag City. I’d love for you to discuss Alasdair the making of the latest self-titled album. I love how there is a more stripped back feel and a departure from some of your previous records from the more recent past. Alasdair Roberts: Well I suppose what happened was I made this record, ‘A Wonder Working Stone’ a couple of years ago and that was made with a core band of five musicians: me, my friends Stevie, Riff, Shane and Ben so this is like a core group that I’ve been playing with live, so we made a record together. And there was a total of thirteen musicians on that record, it’s quite a big thing with big arrangements and long songs. And with this new one, that group hasn’t been playing much together for various reasons, they’ve been busy with their own projects and I had these two days booked in the studio and I had these songs so I thought I will get some demos of these. I recorded them and it turned out to be the record. Wow, that’s very fast. So it only took a couple of days to record to tape? AR: What actually happened was I had this studio booked for another project and then the person I was going to be working with couldn’t do it – they were ill – so I had these two days booked and I couldn’t cancel so I thought I’ll just record these new songs and see how they turn out so that’s what happened. My favourite song is ‘Hurricane Brown’ and it feels like the centrepiece of the album. I wonder did the songs themselves slowly form over the last year or so or would it be a case that the songs come quite quickly in a concentrated period of time? AR: Well funnily enough, ‘Hurricane Brown’ is actually the oldest of the songs; that’s like three years old at this point. I’d say about half of the record is maybe two to three years old and the other half is written in the few months just before recording. Some of these songs like ‘Hurricane Brown’ is a song we played live as a band a few times. I mean I’m continually writing and I’m trying to write a new record at the moment as well. The other songs are quite personal I think so this is a thing that’s different about this record. On the previous record, the songs were a bit more universal and sometimes topical, political and those kind of things but these new songs sound more personal. There’s a couple of love songs and I think the ethos for me was simplicity, you know I was trying to make a more simple record than some of the previous ones. You are always involved in a diverse array of projects. I loved your collaboration with the Gaelic singer Mairi Morrison and the collection of Gaelic songs you released. I can imagine a lot of research and work goes into all these projects before you even begin any recording? AR: Yeah that is a part of it. I mean the thing with Mairi is that she is a Gaelic singer and I’m not. She was born and raised on the Isle of Lewis and speaking Gaelic was her first language so she was immersed in that musical culture in a way that I am not. So I find it very interesting and very appealing but I’m not in that culture so I had to learn about it. There was a lot of research, a lot of reading, archives and libraries and that kind of thing. The Furrow Collective too, it was lovely to hear your voice alongside three other wonderful voices, it was a beautiful album. AR: Thanks. We just got back from a tour in Germany with Emily, Lucy and Rachel and we just did four gigs in Germany so that was good and we’re going to be recording our new album later this year. We started working on some new songs – well new old songs – and so hopefully we’ll record the new album very soon. And with your solo tour then, I suppose it must be nice to go back to your roots in one way and playing solo must also bring something different again? AR: I do a lot of solo gigs but I tend to enjoy playing with other musicians more because a lot of my reason for being involved in music is social and to do with community and that sort of thing. It sometimes it feels a bit weird to be touring, playing solo but other people do tend to respond well to the performances. But I think I would tour more with a band if it was more financially viable and also if musicians that I know in Glasgow that I play with regularly were less busy with their own things, our opportunity to get together is rare. You have done plenty interpretations of traditional songs as well as your own. Would you have personal favourite traditional music, from Scotland particularly that you think were very important for you? AR: I suppose when I’m working with traditional material, I regard myself primarily as a ballad singer so when it comes to traditional song it’s my main interest; the sonatas, the ballads and so on and there is a lot of great traveller singers – historically a lot of great Scottish traveller singers – I suppose it’s the same in Ireland. A lot of the Scottish traveller singers are some of my favourites, people like Jeannie Robertson, Duncan Williamson, Stanley Robertson and the late Sheila Stewart. Most of these singers are either dead or dying out – these kinds of singers – but these are voices that resonate really strongly with me when it comes to traditional music from Scotland. On the new album, the added instrumentation of woodwind; I love how those elements add a lot to your guitar-based songs. Did you know from the outset that it would be so pared back? AR: It was a case of not trying to filling it in so much. I mean I could have spent a lot of time doing quite a bit of overdubs and things but I didn’t. It was in my mind that it would be quite minimal, for example there is some percussion on there and some snare drum rim shots on a couple of songs. My thought was that when those elements happen, they should be very noticeable moments, it should be a major incident even though it’s just the side of a snare drum being hit it should feel like a major incident in the context of this quite sparse record. And with Alex South, the clarinet player – I’ve known Alex for a while – he’s been playing clarinet for most of his life and it’s not an instrument I’m particularly knowledgeable about but it’s the range of sounds and tones the clarinet is capable of might add an interesting dimension to these songs, so that’s why I approached him. Also, the tin whistle is another beautiful addition that works so well with your voice and guitar. AR: The tin whistle is by an old friend of mine, Donald who I’ve known since I was sixteen, an old friend. ‘The Final Diviner’ is another gorgeous song on the album. AR: Yeah it’s a funny one. I think it’s like a pop song; it’s the pop song on the record it feels like to me. I’m already thinking of what the next record might be and I want to try something different again as I don’t want to make the same record over and over again. The next thing is going to be quite different, I think I want to go back to a bit more full arrangements. I started doing this with earlier records like scoring parts for brass or for strings. Normally just like two players, so I would have a cello and a violin or a couple of violins in mind or a trumpet and a trombone playing together. But I’m interested in the idea of writing for bigger and bigger ensembles, you know maybe bigger string sections or combinations of strings and woodwind and brass and things, trying to get some more compositionally complex with what I’m doing. What have you been listening to a lot lately, Alasdair? AR: A couple of Irish things actually. I’ve been listening to this band Lynched from Dublin, a folk band and their album is really great I think. I think this afternoon I’ll go into the record store here in Glasgow and maybe pick some things up. I’ve been listening quite a bit to Jimmy Crowley’s ‘The Boys of Fairhill’ from the early seventies, it was actually in my father’s collection and I’ve been digging it out on the turntable. There’s some great songs on there, most of them seem to be about Cork actually. One last thing, this idea of community and collaboration that comes across so many of your albums where there is this feeling of sharing and sharing ideas with all these interesting people. AR: Yeah I mean sharing ideas is a really important thing for me. The only way to really learn is by working with others and taking their ideas on board and learning from them. It’s always really fascinating to me how different individuals can have such different ideas about the making of music and the making of art and it’s exciting when you bring those different ideas together in the same space and see what happens. Often for me making a record is like creating a temporary community: you bring together this group of people for a period and it’s like creating this community for a while. 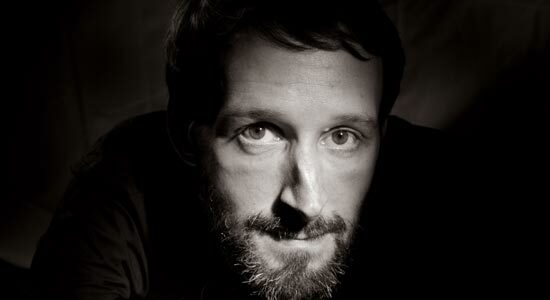 ‘Alasdair Roberts’ is available now on Drag City. (Note: The following opening essay was originally published in our previous article on “Digging In The Dust”). Last year was my first introduction to the incredible Mark Fosson. My introduction came courtesy of a copy of ‘Digging In The Dust’, a record reissued in 2012 on the Tompkins Square label. 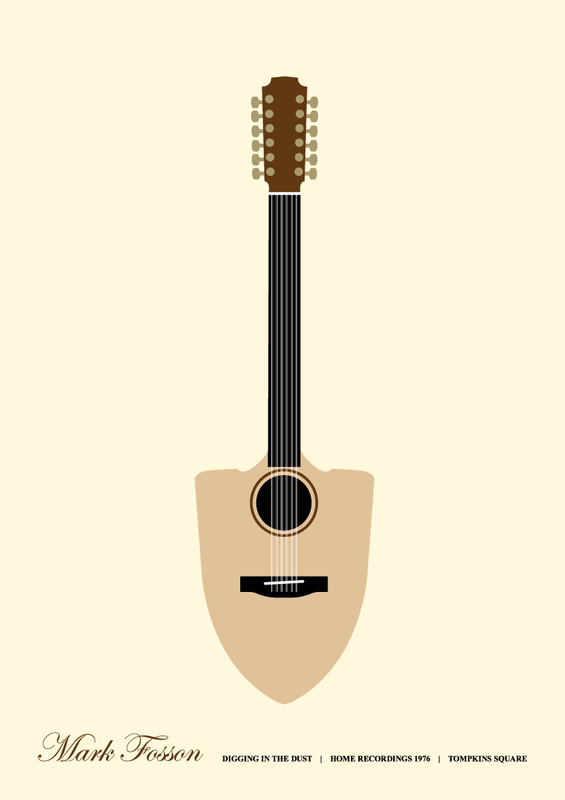 The sleeve depicts a sepia photograph of a young Fosson in concentration as he plays a twelve-string acoustic guitar. What caught my attention most of all was the date written on the front: “Home Recordings 1976”. For as anyone who feel compelled to browse the racks of a trusted independent record store will know, we should never turn our eyes away from newly issued release from a bygone era. Over the last number of years, certain records by the likes of Linda Perhacs, Mark Fry, Kath Bloom and Vashti Bunyan have all found their ways onto the shelves of record shops only for a new generation of music lovers to embrace their music. Most of these songs would appear later in slightly altered form on ‘The Lost Takoma Sessions’, but these original versions are my personal favorites. I can’t believe the tapes have survived so long and still sound as clean as the day I recorded them. The story of Mark Fosson – a Kentucky native – is very much connected with John Fahey and his Takoma Records label. In the seventies, Fosson sent a number of demos to Fahey’s West-Coast label Takoma. Fahey was impressed with what he heard and offered Fosson a recording deal. In turn, Fosson moved from his Kentucky home to Los Angeles and embarked on a number of recordings with Fahey. Due to great misfortune, however, the Takoma Records label (in financial difficulty) would shortly fold. Crucially, though, Fahey would let Fosson keep possession of those prized master tapes of the sessions. For the next number of decades Fosson would record a number of albums and collaborations, beginning with the formation of the Bum Steers (alongside songwriter Edward Tree) in the eighties; a number of soundtracks in the nineties (including the 1992 Allison Anders film ‘Gas, Food Lodging’) and a solo project entitled ‘Jesus On A Greyhound’ released on Big Otis Records. It was those treasured sessions with Fahey that proved most sought-after, however, and in 2006 – some thirty years later – Chicago based Drag City Records would finally release “The Lost Takoma Sessions”. The eleven tracks present in the ‘Digging In The Dust’ cut – released last year on Tompkins Square – would be the unaltered, original recordings, the versions Fosson himself hoped would someday see the light of day. ‘Digging In The Dust’ comprises nine pieces (all performed on Fosson’s first 12-string guitar) and concludes with a couple of alternate takes (of ‘Frozen Fingers’ and ‘Quarter Moon’). It’s only fitting that the wonderful people at Tompkins Square would issue this long-lost gem in all its former glory. Particularly as the label champions such wonderful contemporary musicians (William Tyler’s debut solo record ‘Behold The Spirit’ was released by the label) it also sees the necessity to champion those artists who were so influential to a new generation of musicians who never had their rightful widespread acclaim in their own time. Please take me back to 1976 and your wonderful album ‘Digging In The Dust’. These joyous guitar instrumentals you began writing after acquiring your first 12 string guitar. Discuss the time and place that ‘Digging In The Dust’ was in effect, given its wings and created? I had just been discharged from the Air Force and wasn’t working yet, so I had lots of time to write and play guitar, which is pretty much all I did! ‘Sky Piece’ is my current favourite. Can you shed some light on this piece please? That’s one of my favorites too. Sky Piece is actually slang for a cowboy hat. I heard it in one of the old westerns and stole it for a title. This was the first song I wrote in “C” tuning. ‘Digging In The Dust’ is such a beautiful title. It reminds me of a John Fante novel. Discuss the importance of this title please? 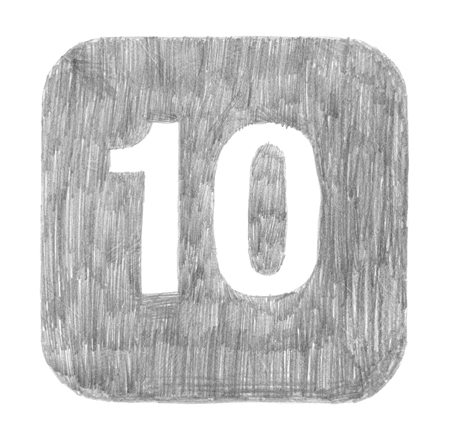 It serves as an inspiring symbol that perfectly embodies the music. Well, that’s the picture that went through my mind as I was looking through these old tapes. Sort of like an archaeological dig…not dead & gone, just covered with the dust of time. Describe for me please the hold your precious 12-string guitar has on you and what is it about this instrument that inspires you? I had always heard that 12-strings were harder to play but when I first picked one up it seemed way easier for me than a six-string. Maybe it was the wider neck. Somehow it seems more forgiving than a six-string, especially when you’re playing in open tuning, and the mistakes are not as glaringly apparent. Some of my best licks are mistakes! Discuss for me please the importance that guitarist John Fahey has had on your life and career? He offered you a recording deal on his West Coast based Takoma Records label and you have often declared him as your biggest musical influence. To me, Takoma Records was just the coolest label going back then. Seemed to be all I was listening to. I must have worn a hole clear through the Kottke/Lang/Fahey LP…and also “The Thing At The Nursery Room Window”…that was a definite favorite! It was the only label I wanted to be on and the only label I sent a tape to, so as you can guess, when they called and offered me a deal I was blown away! I figured I must be doing something right. It took about one day to pack and head for California…couldn’t wait to get there. Then the first thing that happened was I opened for Fahey at a place called Bob Baxter’s Guitar Workshop. I remember being backstage with John and he was changing his strings. He got the new ones on, hit a chord and immediately cut all the strings off! Did this three times till he was satisfied…Then he started playing some stuff and it was just incredible to hear him up close like that. I consider myself very lucky to have been able to do those shows with him. He actually taught me how to play “Sunflower River Blues” that first night, which I perform to this day. The Fahey material finally saw the light of day as “The Last Takoma Sessions” on Drag City in 2006. Discuss please the creative process in working and collaborating with John Fahey? There was actually some tape of the two of us playing one of my tunes which is probably erased forever…they use to re-record over the 2″ tape ’cause it was so expensive. It was actually a lot of fun being in the studio with John. He was recording some of his ideas as well and he and the engineer Doug Decker showed me about splicing different takes together to get a more perfect whole. I had no idea people did that…what a shock! The studio was in a pretty bad part of town so we had to look over our shoulders as we were leaving the sessions. And walk real fast! As your music has been reissued recently, it must be a wonderful feeling for you, personally to be re-discovering these special songs. They have this remarkable timeless feel. It’s hard to believe they are from the mid-70’s! What are your feelings on the music industry today, and how it has changed since the mid-70s when your career as a recording musician began? I not only got to re-discover them I got to re-learn them…had quite a time with a few of them! It really is a great feeling to know that folks are listening to and enjoying those tunes…I owe a huge thanks to my cousin Tiffany Anders for making me dig those recordings out and to Drag City and Tompkins Square for releasing them. Studio time was outrageously expensive back then so there were fewer self-produced records …some really good ones though as we’re discovering today. The digital recording programs blew it all wide open. You can put out a record for next to nothing nowadays. I have a little Sony digital IC Recorder that cost me $40 and records fantastic…I’m thinking of doing a whole album on it. Guess the only thing that hasn’t changed about the music business is you still don’t get paid!! !….just joking….I think. What are your current inspirations? What artists and records have made the biggest impact on you in recent years? I like a lot of the new younger players. Daniel Bachman is tearing it up…a really excellent musician. We did a short tour together that was great fun. I believe he must play around 600 dates a year! We did a show with Nathan Bowles, who’s an amazing clawhammer banjo player. I listen to his new CD “A Bottle, A Buckeye” all the time. Solo banjo….He also has a band called Black Twig Pickers that does some very cool stuff. I listen to LastFM when I can…always hearing lots of unfamiliar artists there. Sideways Through Sound plays a lot of interesting stuff too. No shortage of good music if you’re willing to look for it and I look everywhere and every chance I get. What was it like growing up in Kentucky in the 70’s? Can you pinpoint the time when you realized that music and the guitar was the path you were destined to walk down? Kentucky was a great place to grow up. I lived there until I joined the Air Force in 1971. Then they sent me to Grand Forks, North Dakota for the next four years. I played a ton of music when I was stationed there. I was in a country band and a rock band and I also did a lot of solo gigs. They were pretty starved for entertainment up there so we made out alright! That’s also where I discovered Fahey and all the Takoma artists and began messing around with solo guitar. My aunt Rachel played guitar and sang and I was always picking her guitar and trying to figure it out…she finally gave me a guitar when I was 12 years old and I was on my way. Then the Beatles showed up and that’s when I was absolutely certain I’d be a musician. On moving to Los Angeles in the seventies, how did you find the city? Was it difficult to adapt to life there after living in Kentucky your whole life up to then? What was the music industry in L.A. like at that time? I loved living in California…I love the west! I ended up living there for 33 years. I’m a big fan of the desert and I spent all the time I could out there. I met some great people out there who are still my best friends and played with some amazing musicians. After Takoma I started up some bands that were a real joy to be a part of. I was in a duo called Crazy Hearts with Karen Tobin. We were featured on the compilation LP “A Town South Of Bakersfield” along with Lucinda Williams, Dwight Yoakam, Jim Lauderdale and a host of other killer acts. She went on to get a deal on Atlantic Records. Later I started a country rock outfit with Edward Tree, Taras Prodaniuk and Billy Block called The Bum Steers. We were way ahead of our time and way too cool for Nashville. Porter Wagoner invited us to play the Grand Ol Opry…which ain’t a shabby gig! We were on Opry radio more times than I can count and did a lot of TV and shows in Nashville but never quite made that giant leap into the national consciousness! Had a hell of a good time trying though. We still play once in a while and we put out a new record a couple years ago. So California ended up being my home for the largest and best part of my life. Thank you John Fahey. In 2001 you collaborated with singer/songwriter Lisa O’ Kane. Tell me about this particular project and what releases were born from this? I must seek out these recordings ASAP! It is a fitting testament to your music that today, some years later, there is such an endearing response and acclaim for your music. You must feel very proud. I’m very proud indeed! I have about 3 albums worth of new material to put out and I’m hoping it will get the same response. 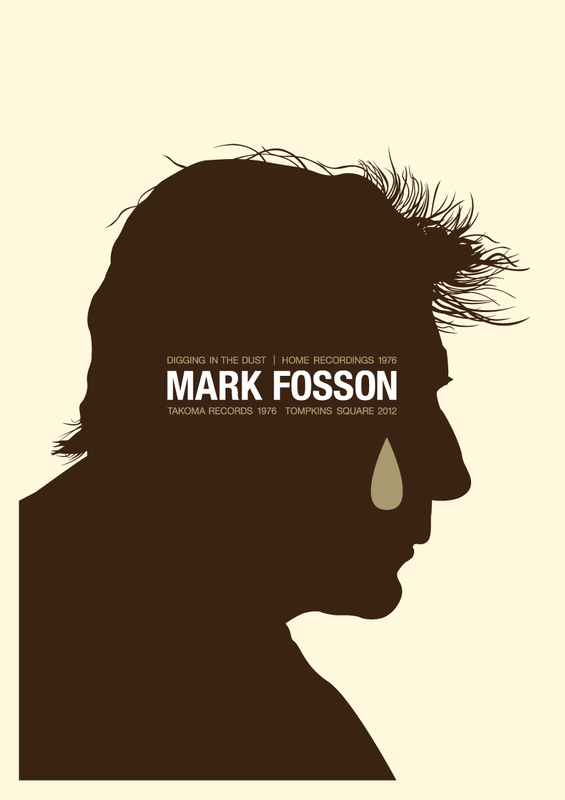 ‘Digging In The Dust: Home Recordings 1976′ by Mark Fosson is out now on the Tompkins Square label. Released last year on the Tompkins Square label, ‘Digging In The Dust’ comprises the famous sessions recorded by Mark Fosson with John Fahey in 1976. With Fosson on a 12-string acoustic, the sessions would never see the light of day (Fahey’s Takoma label soon folded) until Drag City issued ‘The Lost Takoma Sessions’ in 2006 – some thirty years later. ‘Digging In The Dust’ would be the “original, unaltered” sessions from ’76, recorded with Fahey in Los Angeles; and is as timeless a gem as they come; beautiful in all its dusty glory. Last year was my first introduction to the incredible Mark Fosson. My introduction came courtesy of a copy of ‘Digging In The Dust’, a record issued in 2012 on the Tompkins Square label. The sleeve depicts a sepia photograph of a young Fosson in concentration as he plays a twelve-string acoustic guitar. What caught my attention most of all was the date written on the front: “Home Recordings 1976”. For as anyone who feels compelled to browse the racks of a trusted independent record store will know, we should never turn our eyes away from a newly issued release from a bygone era. Over the last number of years, certain records by the likes of Linda Perhacs, Mark Fry, Kath Bloom and Vashti Bunuyan have all found their ways onto the shelves of record shops only for a new generation of music lovers to embrace them into their own collections (and lives). The story of Mark Fosson – a Kentucky native – is very much connected with John Fahey and his Takoma Records label. In the seventies, Fosson sent a number of demos to Fahey’s West-Coast label Takoma. Fahey was impressed with what he heard and offered Fosson a recording deal. In turn, Fosson moved from his Kentucky home to Los Angeles and embarked on a number of recordings with Fahey. Due to great misfortune, however, the Takoma Records label (in financial difficulty) would shortly fold. Crucially, though, Fahey would let Fosson keep possession of those prized master tapes from the sessions. For the next number of decades Fosson would record a number of albums and collaborations, beginning with the formation of the Bum Steers (alongside songwriter Edward Tree) in the eighties; a number of soundtracks in the nineties (including the 1992 Allison Anders film ‘Gas, Food Lodging’) and a solo project entitled ‘Jesus On A Greyhound’ released on Big Otis Records. It was those treasured sessions with Fahey that proved most sought-after, however, and in 2006 – some thirty years later – Chicago based Drag City Records would finally release “The Lost Takoma Sessions”. The eleven tracks present in the ‘Digging In The Dust’ cut – released last year on Tompkins Square – would be the unaltered, original recordings, the versions Fosson himself had hoped in earnest would someday see the light of day. ‘Digging In The Dust: Home Recordings 1976’ by Mark Fosson is out now on the Tompkins Square label.